The Budget Kits is a good option for individuals getting started with a limited budget or interested in testing the opportunity. 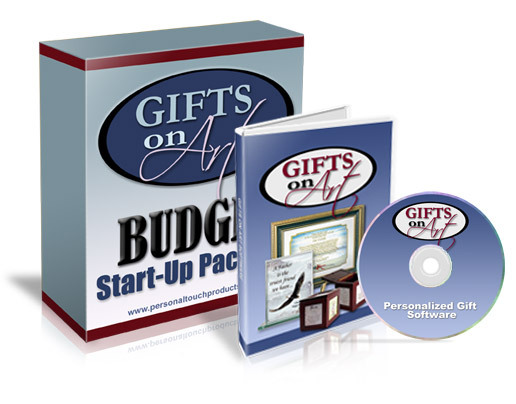 The GOA software included with this kit is the very same software that is included with the higher packages. The price differences for the various start-up kits are based on the supplies and tools included with the individual kits. This kit includes more than enough supplies to earn back double your initial investment at MSRP. 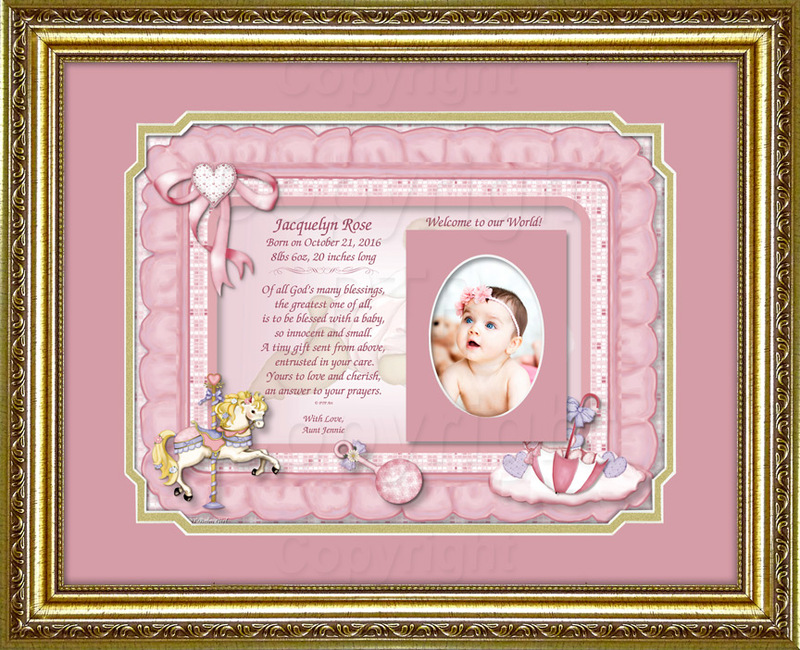 This kit includes 5 each of the 10 best-selling art backgrounds (total 50). You can purchase additional items individually as needed, or you can choose to upgrade to a higher start-up kit within 6 months of your initial purchase. 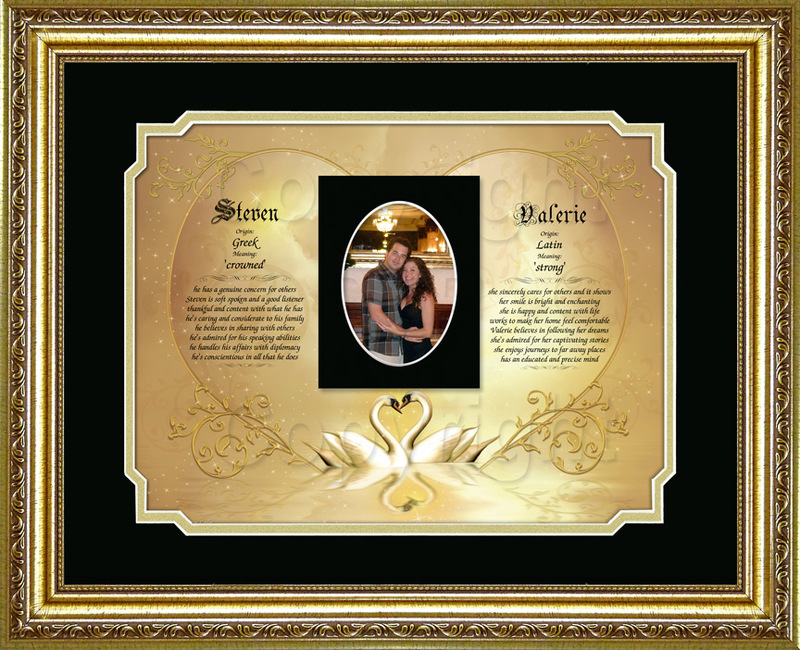 Create your own "art book" to use as a sales tool. 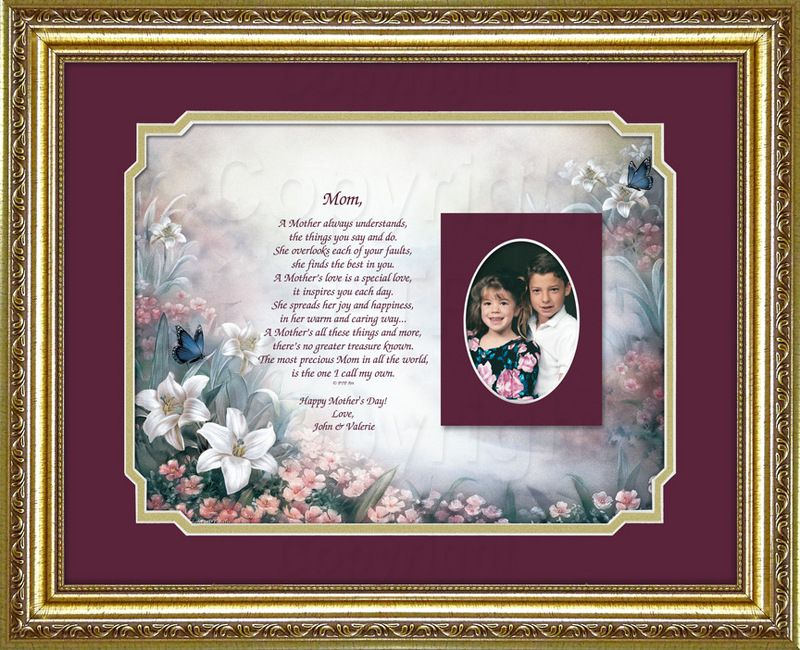 Purchase a simple 3 ring binder, and sheet protectors, and insert one of each art background that you offer into the sheet protectors. 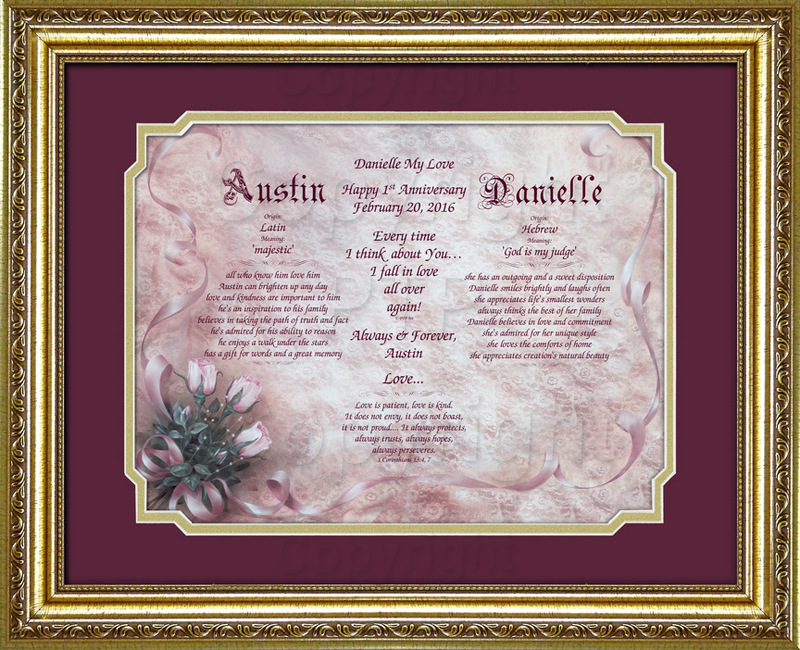 When you add more art designs to your collection, you can easily add them to your art book. 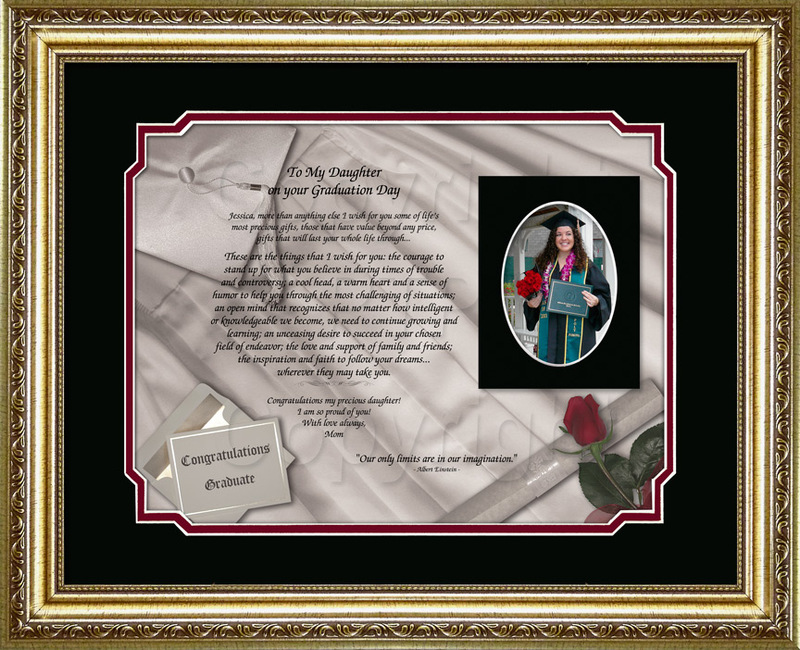 Add the "Personal Touch Poetry Book" to your sales tools so your customers can select their poem. 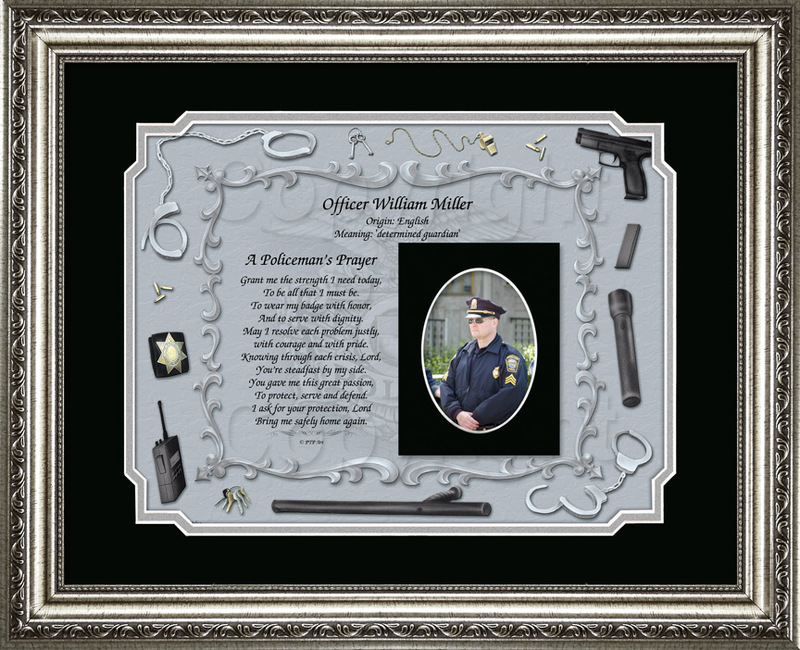 The "Personal Poetry Book" is included with the higher startup kits, or can be purchased separately, or can be printed from within the Gifts on Art software. 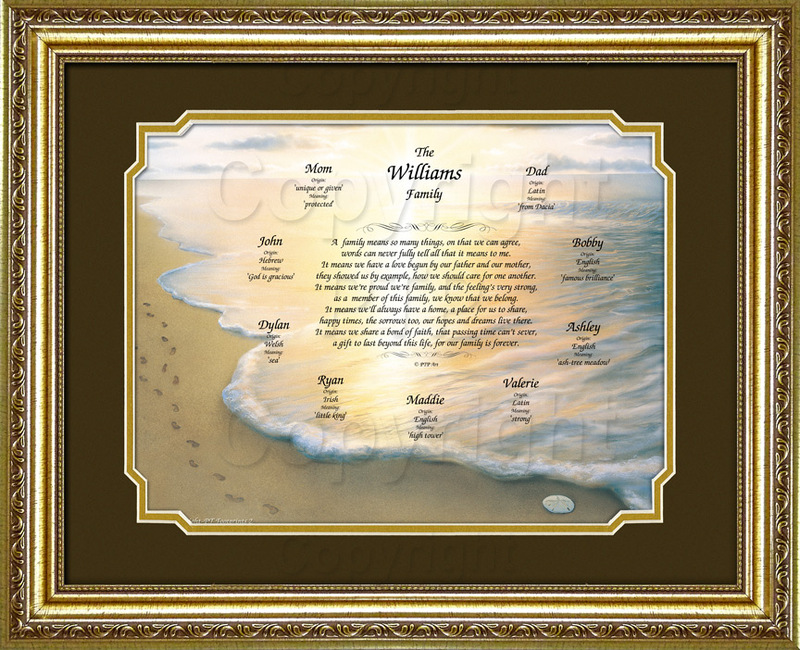 Create a set of completed "sample gifts" that include the following themes: First Name Meaning, Double Name Meaning, Wedding, Anniversary, Love, New Baby, Graduation, Mom, Dad, Children, Family, Special People, Inspirational, and Friendship. 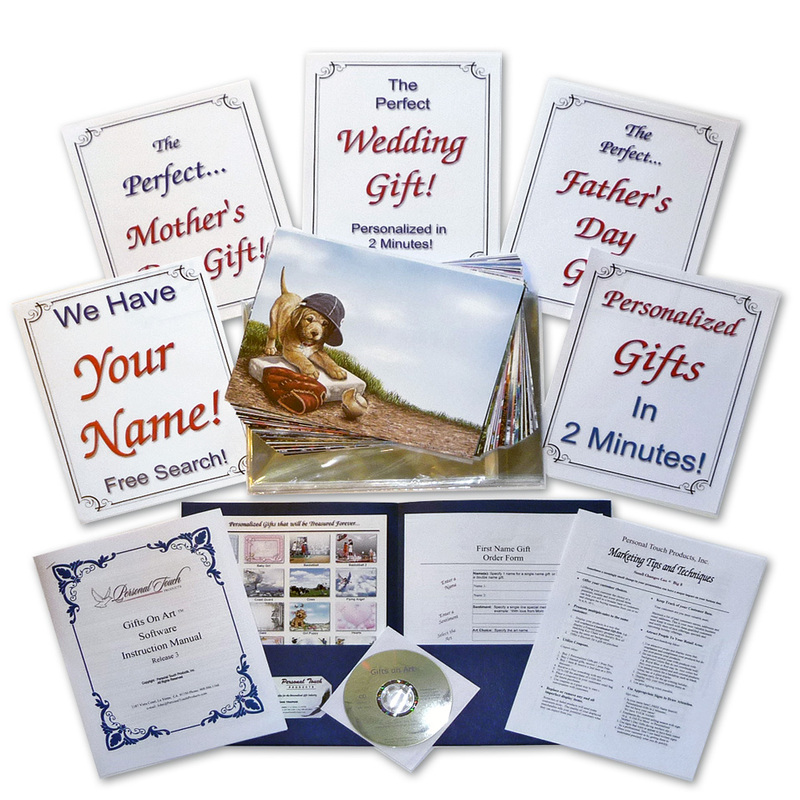 Your Sample Gifts, Art Book, and Poetry Book will prove to be invaluable sales tools. This kit includes 5 ea. 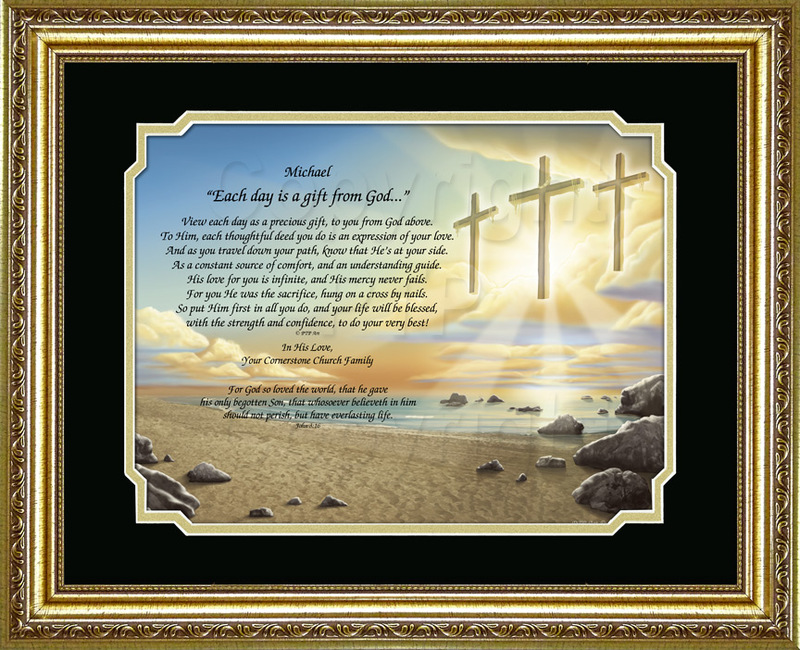 of the top ten best-selling art. 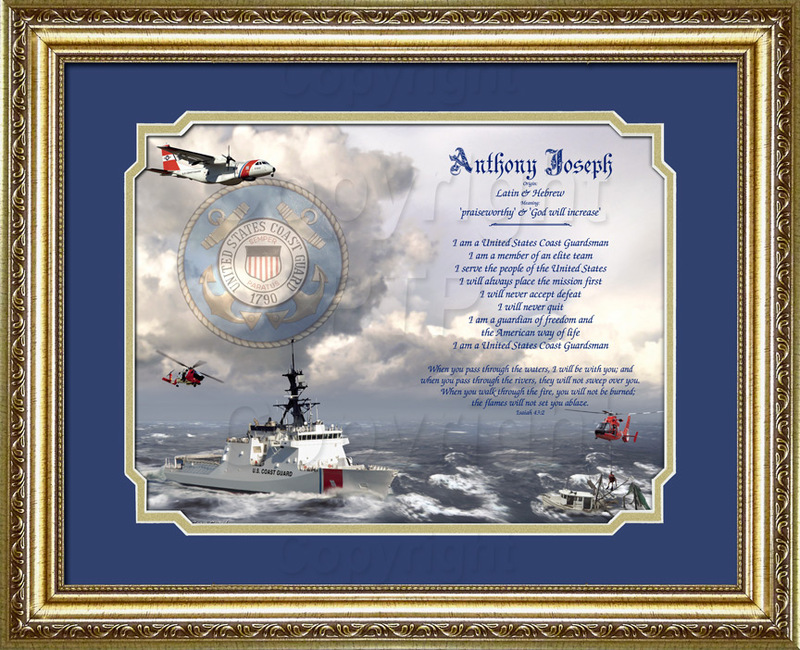 We suggest adding additional art to expand your offerings. 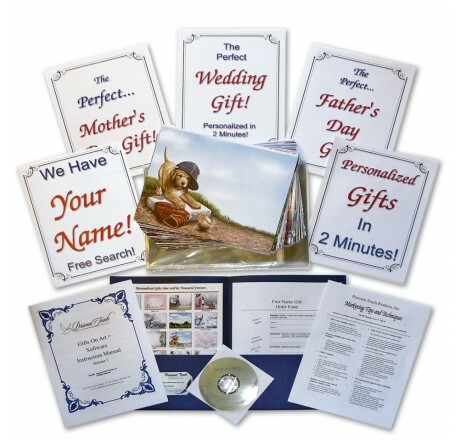 11x14 Mats and 11x14 Clear Mat Bags. 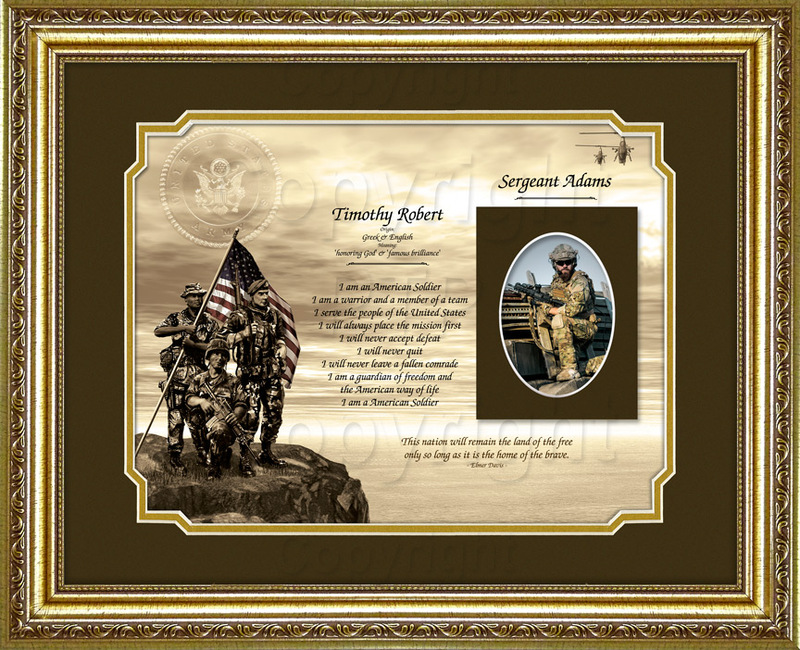 Matted gifts offer your customers a low-cost option that transforms the 8.5x11 art background into a much more substantial gift. Frames are not required to be successful. 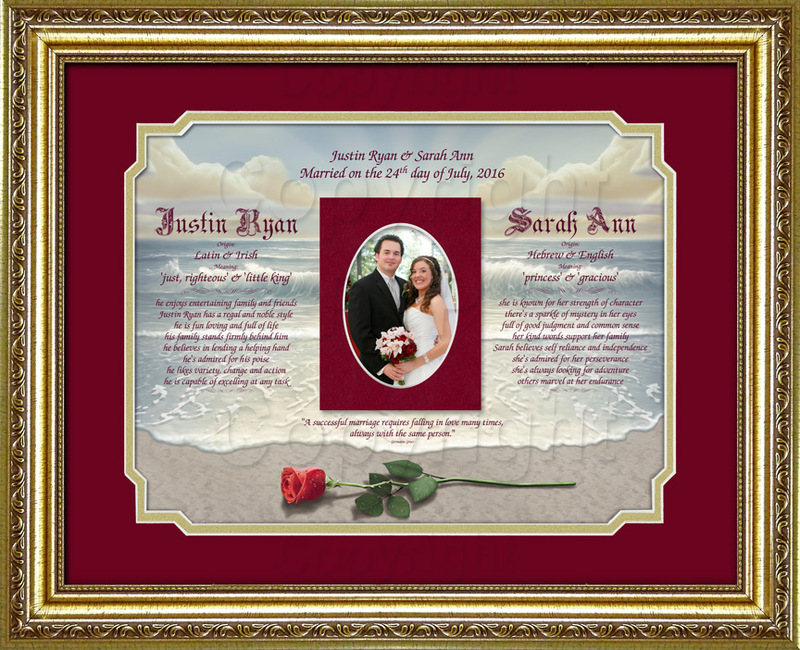 8.5x11 and 11x14 are standard frames sizes that can be purchased by you or your customers. 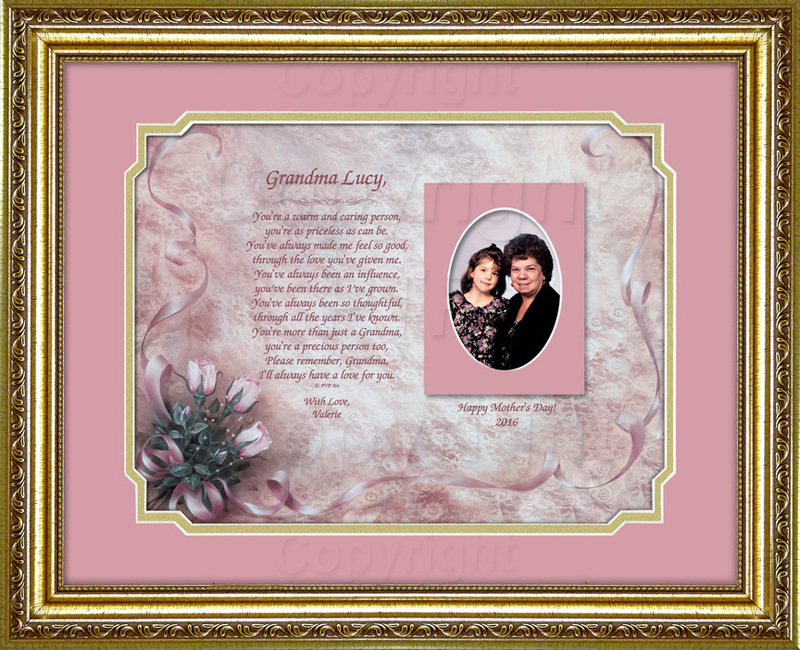 Create low-cost, high-profit gifts, and keepsakes for every occasion. 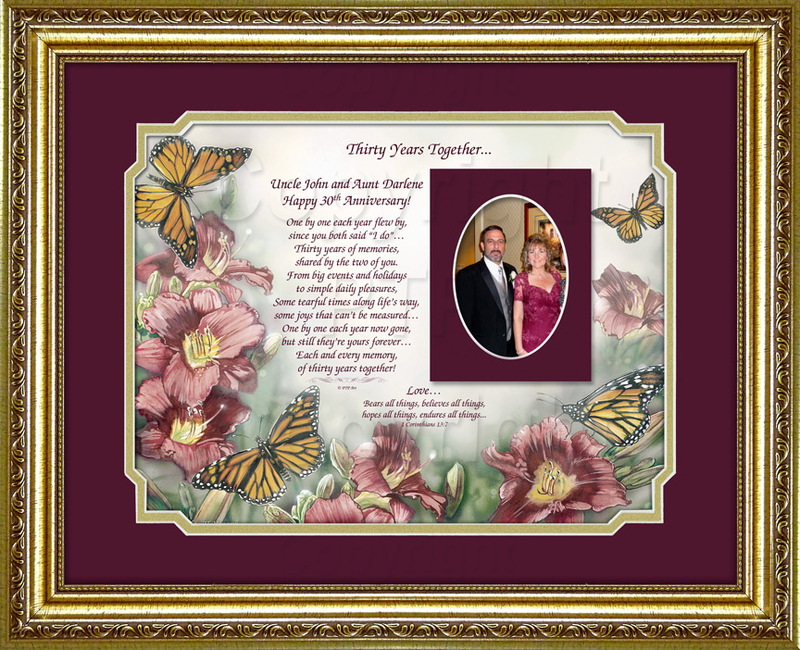 A super simple process that takes two minutes to create a typical gift. 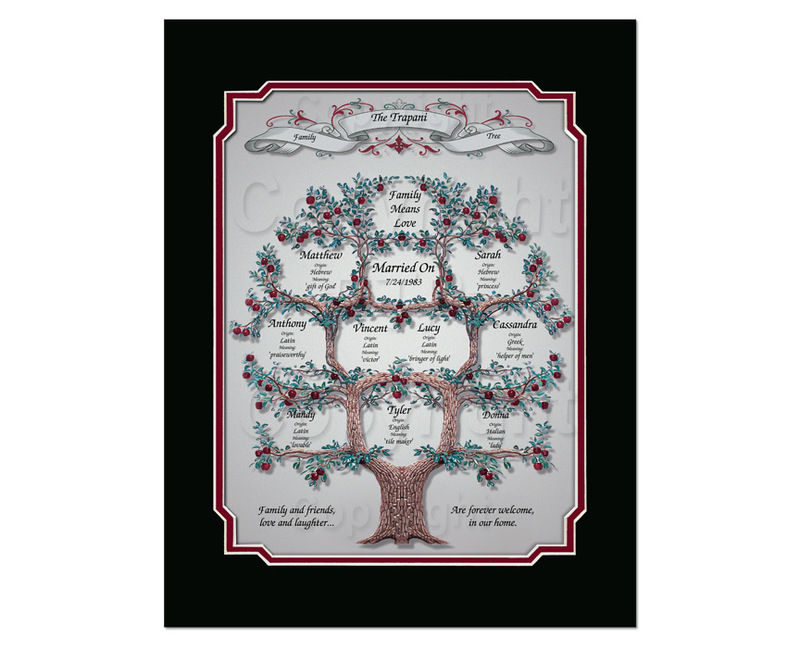 This family tree gift offers the flexibility to insert name meanings, quotes, verses or any desired text as shown in the sample. I am in love with the program!!! Review by Sue A.
I am in love with the program!!! And played around with it for 4 hrs last night. It is so exciting to present it to the Spanish market... I love the presentation of all of it... Can hardly wait for the weekend! 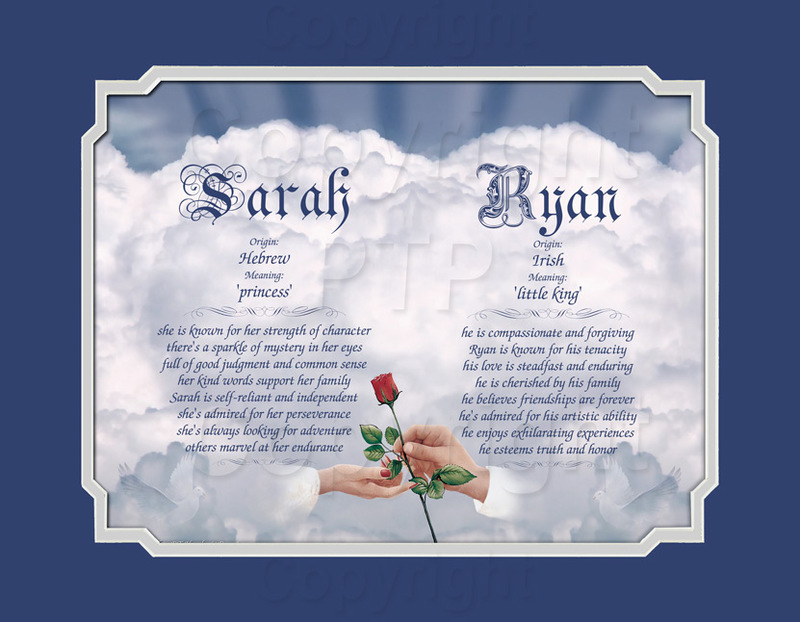 I love making the names for people and looking the meaning up even if they don’t buy. Seeds are being planted either way! Anyway....thank you again for being so patient with me.